it really is the easiest form of entertainment, my friends love love love it and the set up is so incredibly easy. thank you for your step by step instructions. i have yet to come across an awesome hot pot place in Dallas but Boston and New York had amazing ones! it’s funny, i’ve never had hotpot out, it’s always been an at home affair. not to say i wouldn’t try it! 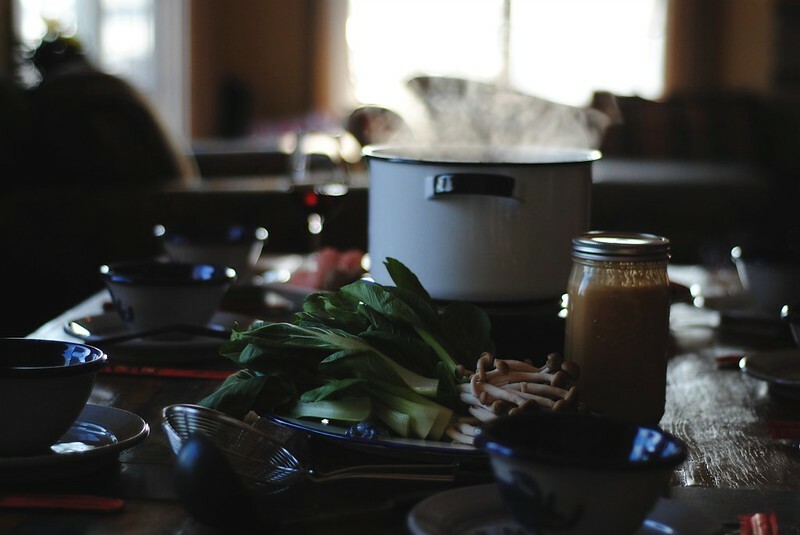 Oh yes, hot pot is THE ultimate winter food. 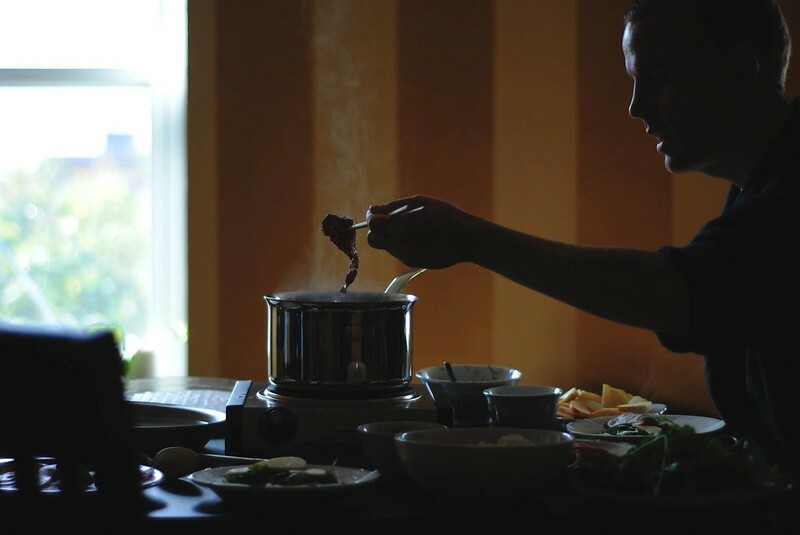 It’s going to snow 12-18 inches here tomorrow (of course it’s sunny and nice outside as I type this) and hot pot right now sounds delicious! I hate it when I don’t have any salvageable pictures. Bah!! gawd. you get it. though it gives me reason to do it all over again, so i can’t really complain. it is really a comfort to tuck into this when it’s crazy cold out, but i find that it’s also fun to do around early autumn or early spring, it’s just on the cusp of getting cold or warm. i think that component has more to do with being with friends though. 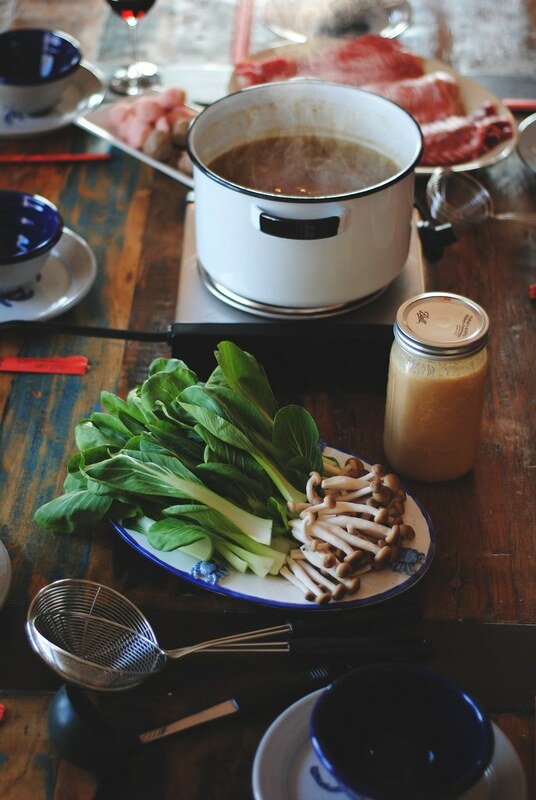 This is so beautiful and now I know how to make a bonafide hot pot. We’re about to get hit again and I think this would be an excellent stay home an be cozy meal. Funny you’d mention makeup. I just ran out of the foundation I’ve been using and didn’t want to order a new one because I wanted one that was less toxic. The one i’m using in the interim was very expensive, but it has a very strong fragrance and I just keep thinking this can’t be good for you. I’m waiting for my non-toxic one to come in the mail now. i hope you are able to enjoy this before the weather gets too warm! 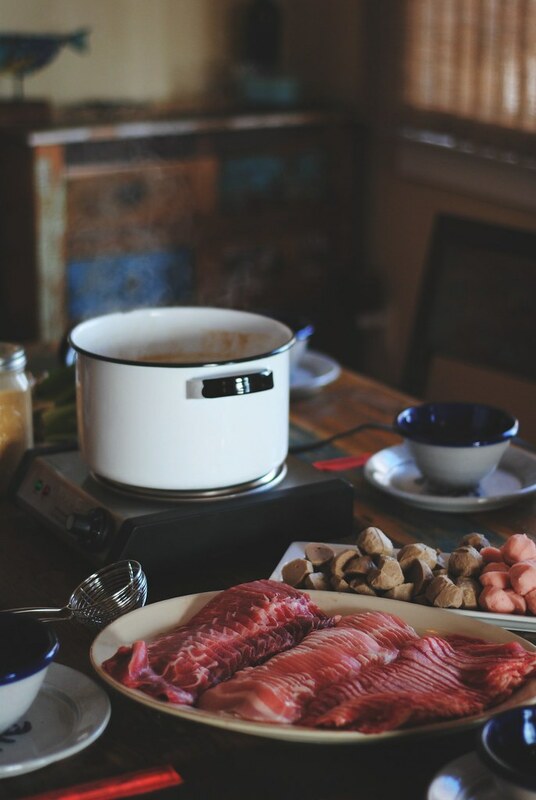 hot pot is so simple, but extremely delicious! I haven’t had it in ages, but this makes me want to make it soon! hi Andrew, i hope you do make it soon! There’s a hot pot place coming to the area near my office, but I feel like going with yours feels more reliable. I’m sure that even with spring we’ll have some unseasonably cold days coming up, so I want to try this ASAP. sounds delicious ! the most difficult part seems to be getting all the ingredients together, then the prep looks like a cinch… will def try this one soon! it’s entirely up to you how many ingredients you want to use, and prepared meats are readily available now in supermarkets. i hope you enjoy!